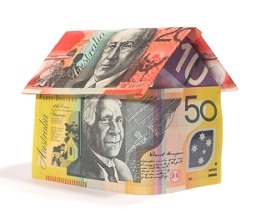 Purchasing property through your Self Managed Super Fund - Are you getting it right? Purchasing property through your Self Managed Super Fund – Are you getting it right? We are seeing more and more people using their self managed super funds (SMSF) for property acquisition and taking advantage of the changes that came in a few years back allowing SMSFs to borrow money to purchase assets. There can be many benefits to borrowing and purchasing through your SMSF, including being able to access the equity in your fund, tax benefits associated with purchasing the assets through the SMSF and potential asset protection benefits. Doesn’t it sound great? The problem we are seeing is that, with the increase in transactions of this kind, there has also been an increase in the number of people who are struggling to get clear and correct advice on how to set up these transactions, or people who have had the documentation set up incorrectly and are landed with some of the huge downfalls of not getting it right, such as having to pay double Stamp Duty, being hit with tax penalties, plus the additional costs associated with fixing what could have been set up correctly in the first place. With multiple trust structures, companies, restrictions on what is and is not acceptable, and a potentially long list of documents to put in place, it can seem like a daunting process. We have found that getting the right advice at the beginning, from your solicitor, accountant and financial planner, and making sure that you are using professionals who understand the process, can help ensure that you are meeting all the taxation and legal requirements, that the documentation and structure are correct, and that you are doing the best thing for your situation. While borrowing or purchasing through a Self Managed Super Fund may not be for everyone, getting the right help makes the process run so much smoother for those who decide it is right for them.